They're precious and the only pair you will ever have. 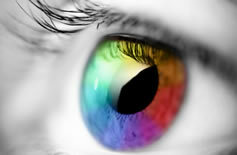 Your eyes and visual system are incredibly complex and amazing in their working. Optometrists in NZ are highly trained professionals who comply to an ethical code of practice and must maintain continuing professional education to be able to practice. Optometrists have excellent relationships for referral to Ophthalmology, Neurology and General Medicine. From infancy to the elderly Optometrists take care that eyes and the visual system are seeing and working to their fullest potential. Aware of the milestones of visual development and the changes in vision that mark our aging Optometrists examine eyes in the context of the whole of life. Optometry is a constantly expanding field of knowledge and expertise with state of the art research into all aspects of our vision and the demands upon our vision. 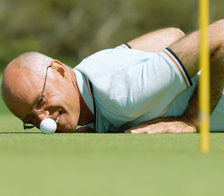 An eye examination takes into account your occupation, hobbies, family ocular history, medications and general health. In a world of increasing global chain stores independent Optometry Practices offer you the assurance of personal care and continuity of care. The technology in ophthalmic lens design and manufacturing is state of the art. It is also somewhat staggering and often bewildering. 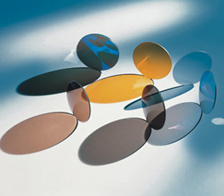 Options of tinting, polarizing, progressive and anti-reflective coating are combined with choices in lens materials and can quickly escalate into too many choices. Technology then can be wonderful but not necessarily good for you. It is the task of the Dispensing Optician to match these wonderful technologies with the prescription the Optometrist has prescribed and make a great set of spectacles come to life. Being independent Optometrists and Opticians means we have access to all the best lenses the world has to offer without being franchised and obligated to use particular brands. Lenses are now increasingly tailored to individual wearers with multiple measurements taken of the frame as you wear it. The surfaces of lenses are often double aspheric with complex curves generated to allow for how your eyes align with your eyewear.